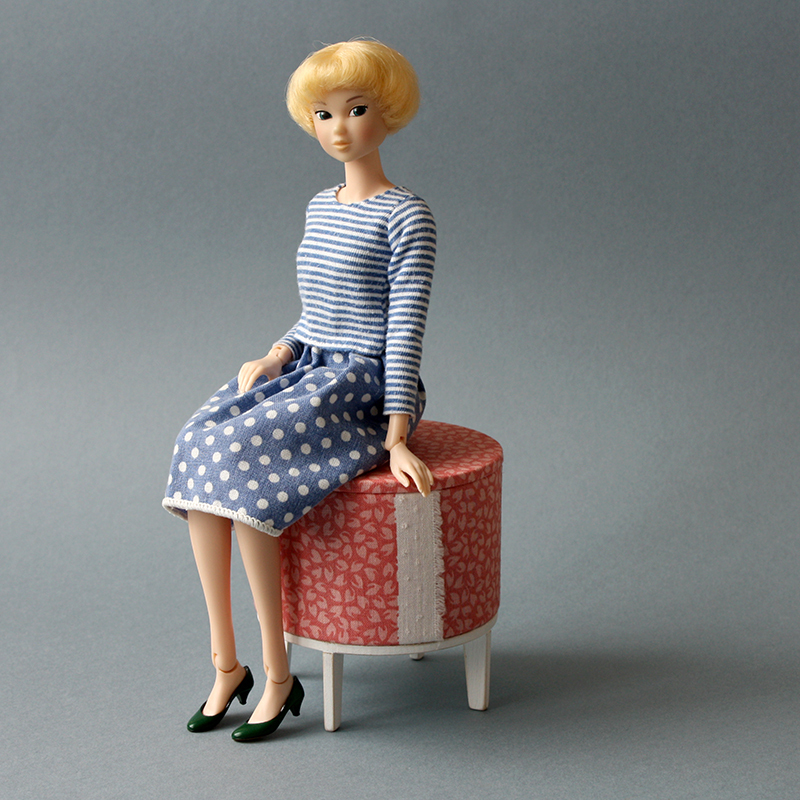 Do you recognize this doll? 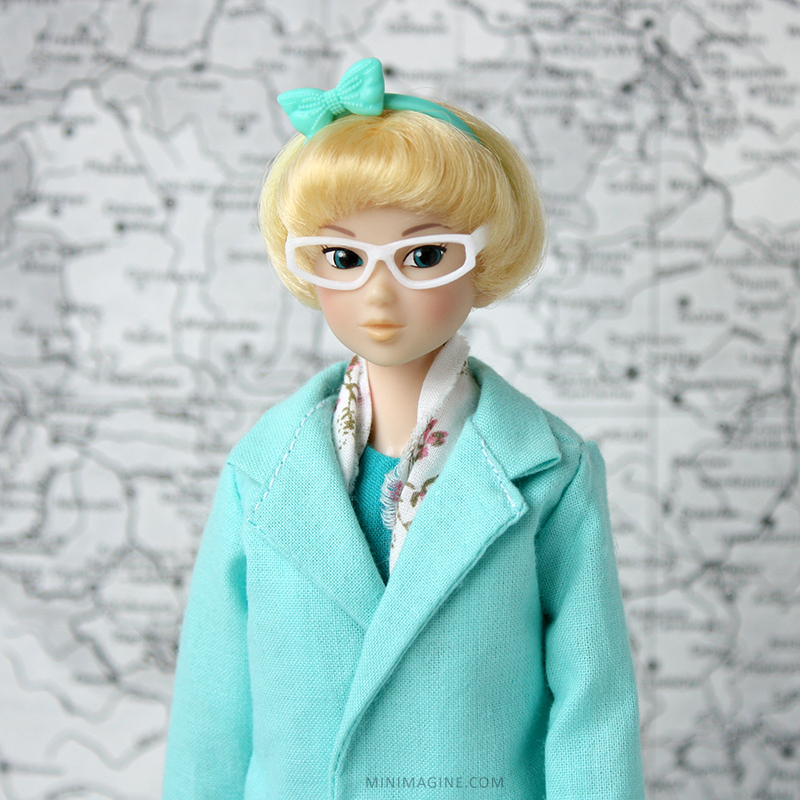 I think she looks funny in Azone glasses and Barbie hairband. 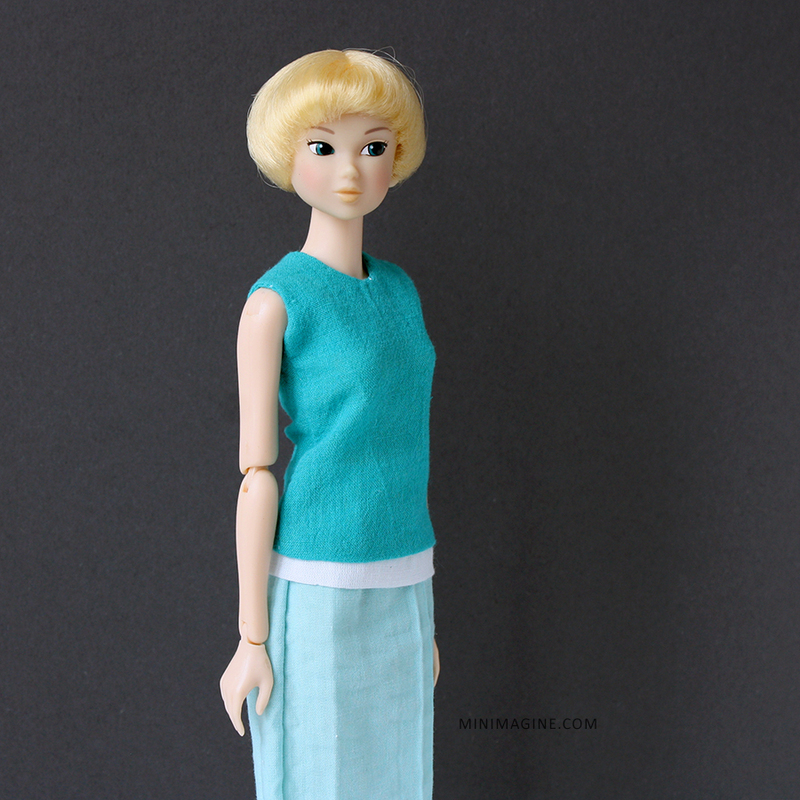 Irma is Momoko 'Lovely Folklore' released in 2006 by Sekiguchi. 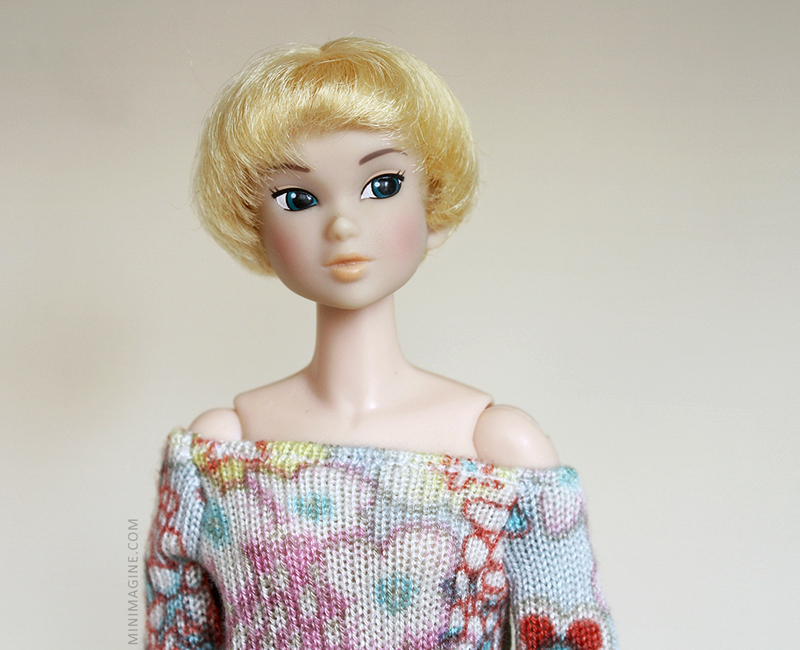 She arrived to me in NFRB condition in November 2009. 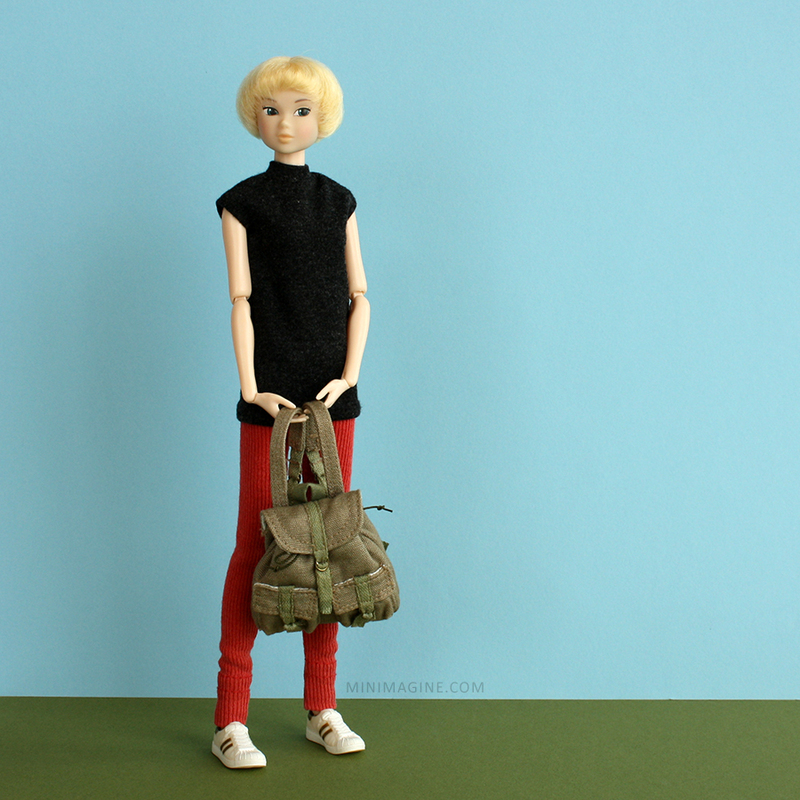 I don't have her folk outfit complete, but I do have her lovely brown boots (not shown in this blog post). I like sewing for Irma. Her short hair is very comfortable for fitting. She has unnatural turquoise eyes. 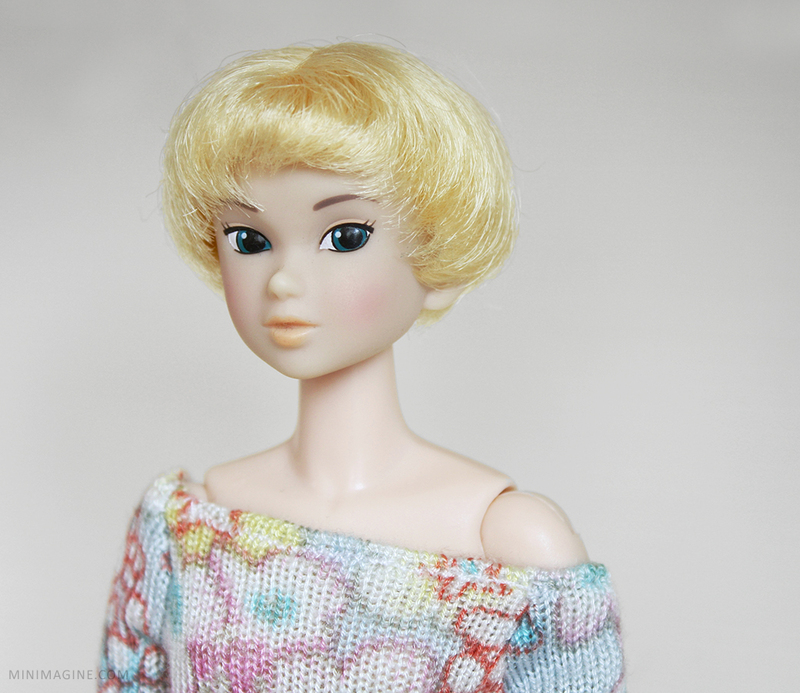 I prefer natural looking dolls but I like her though. 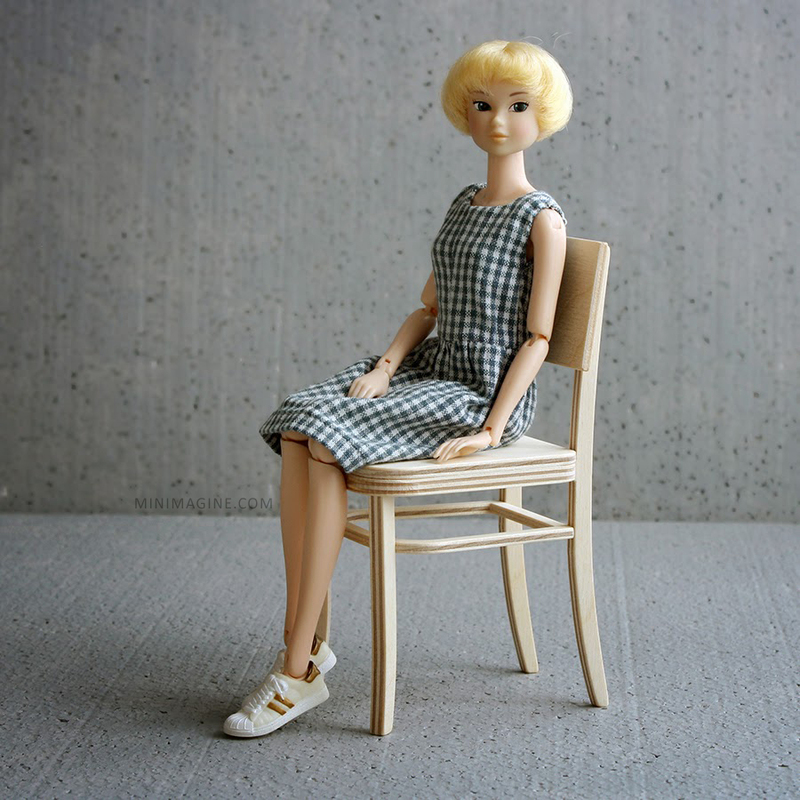 Actually, she is one of my favourite Momoko dolls. 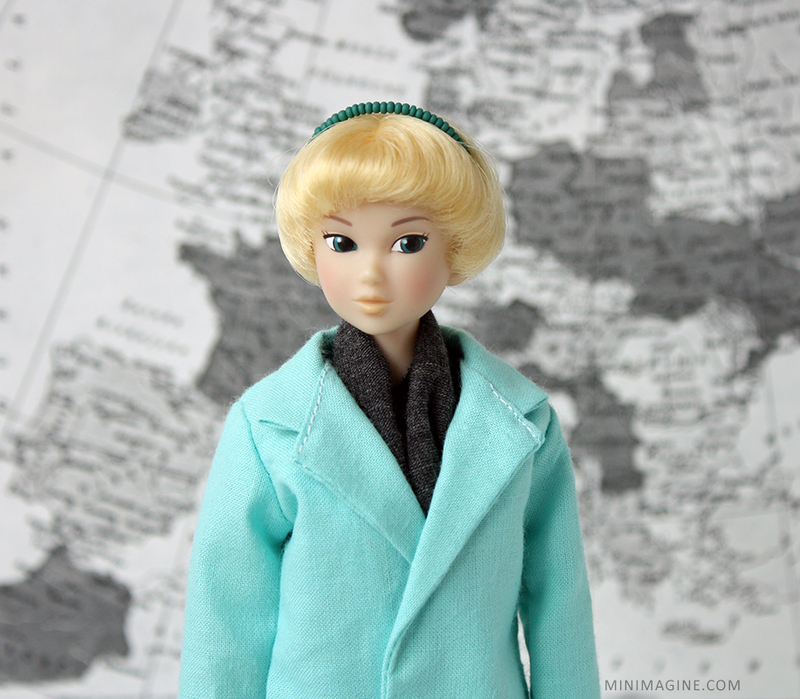 Generally, I don't give character traits to my dolls but she seems to like traveling. She's really gorgeous. I actually find her nerdy look (the first photo) really endearing. Her hairstyle is so cute. 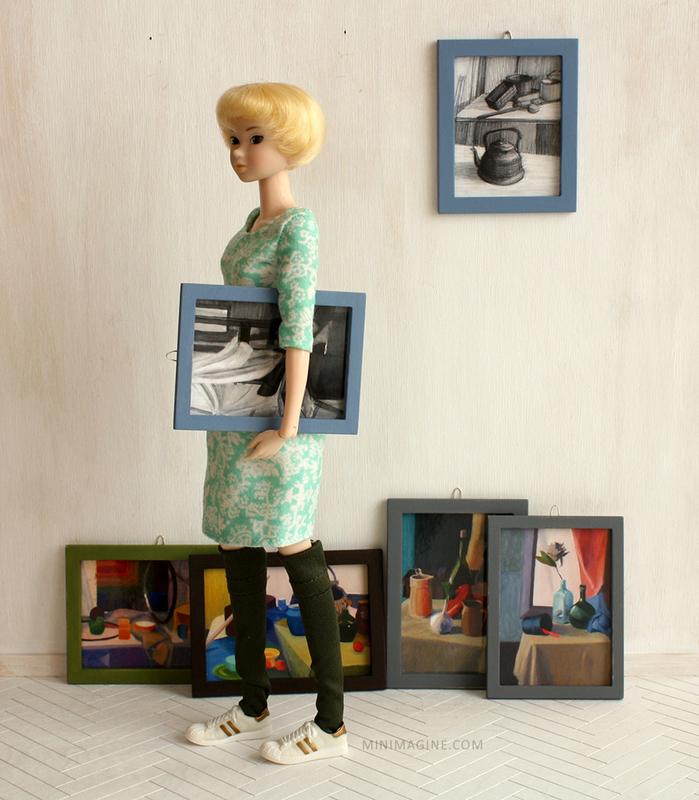 I think also part of their charm is how you style these dolls. You really know how to enhance their look. Thank you so much. 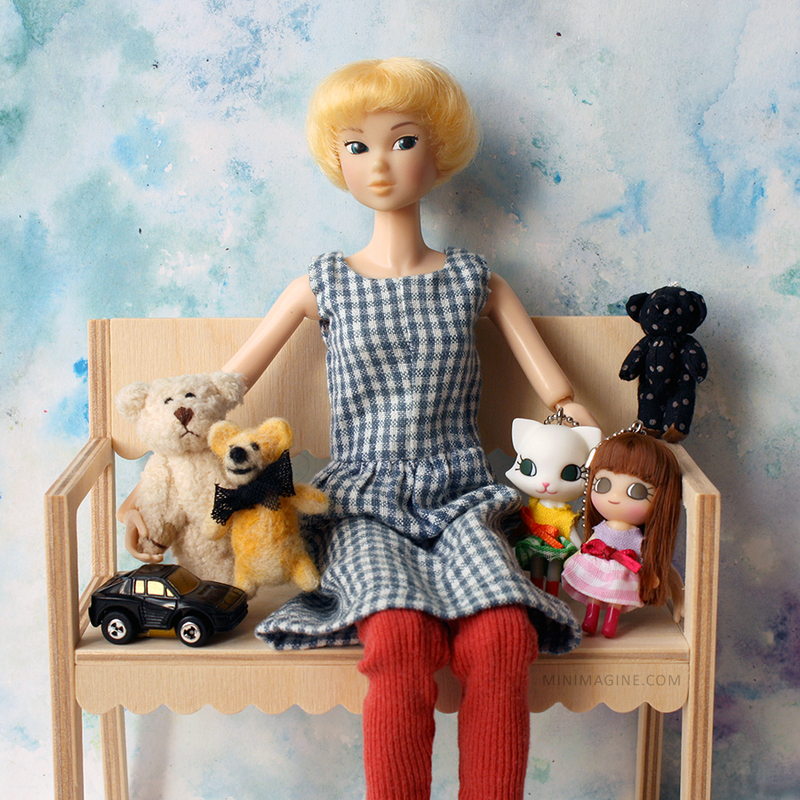 I do my best to show Momoko dolls in the most interesting way. Irma is beautiful! She has an innocent, sweet look to her. I love her short hair. You have dressed her very, very nice! Thank you :) I like her face and short hair too. Ирма очень красивая! Прекрасная фотосессия! Uwielbiam takie zdjęcia! Irma jest cudowna!